In 2010, the rock band The Scorpions were honored by Empresa Brasileira de Correios e Telegrafos, the Brazilian Postal Service, with a special stamp commemorating their in-country tour. 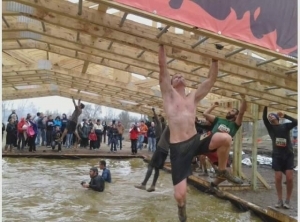 What does that have to do with Obstacle Course Racing? Not a damn thing (What a silly question!). But, The Scorpions did sing the 1990 power ballad “Wind of Change”, which of course is intimately related to OCR. Okay, maybe not the song itself, but certainly the idea of the wind of change can easily be applied to our sport. In the past five years, we’ve seen OCR rise from the relative depths of obscurity to being featured on an upcoming primetime television series. Just like the UFC went from sponsors such as Mickey’s malt liquor and the Condom Depot to the likes of Bud Light and Reebok, most of the major OCR brands are now enjoying premium sponsorships and major media contracts. Hopefully, all of this change and growth means good things for the future: more venues across the globe, the possibility of more legitimate brands competing for a place on your race calendar, and more innovative obstacles to capture our imagination. For these reasons, I’ve previously defended the industry’s big players’ ability to make money and grow (What?! You didn’t read that article? For shame. But thankfully, you can check it out here!). However, OCR’s relative obscurity within the public conscience – which the industry has worked so hard to put in the rearview mirror – did afford one significant advantage, an advantage which is slowly, but steadily, disappearing. What am I referring to? OCR’s ability to be a remarkable tool for charitable fundraising. Please allow me to elaborate by relating a personal story. 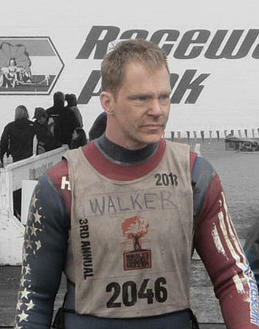 My first OCR experience was Tough Mudder Indiana in November of 2011. Upon paying the mandatory insurance fee and signing the online waiver, TMHQ extended the invitation to a) make a monetary donation to the Wounded Warrior Project, and b) actively raise funds for the project through the use of a personalized donation link. Without hesitation I tagged on an appropriate alms to my registration fee, and set out to raise some coin for what I saw as a worthy cause. I don’t recall the exact amount that I raised, but I know it was a bit more than $3,000 over the course of those four months. I’d like to say that I was successful at raising money for WWP because of my prodigious sales skills. Sadly, however, that would be a lie. The fact is that many of the people I approached for a donation had simply never heard of Tough Mudder, or OCR in general (to be fair, I’m not sure that I had even heard the term “OCR” at that point). More often than not, my initial introduction was met with, “Tough what?” But, after hearing my 30 second “elevator pitch” explaining what Tough Mudder is, and exactly what I would be doing that day, I found that many people were more than willing to open their wallets and contribute. Right now you might be thinking, “Matt! Don’t you see what happened there? It wasn’t until you raised their awareness of OCR that they chose to give.” Well, sorta…. The crazier they thought I was for doing this, the more scratch they were willing to donate! No, my research on this cannot be characterized as “scientific”, and it’s doubtful at best that my theory would hold up to any Socratic questioning. But…sometimes you just gotta go with what you see, right? And what I saw was that those individuals who most expressed concern for my mental well-being – “Seriously? Are you crazy? !” – were also the ones that gave the most. Key phrases such as “barbed wire”, “electroshock therapy”, “freezing water”, and “burning bales of hay” seemed to really grab people’s attention. And, at the end of the day, that’s what fundraising really hinges upon – grabbing attention. But that’s nothing new. 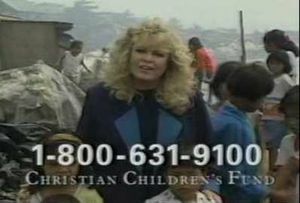 Remember those Christian Children’s Fund commercials from the 1980’s featuring Sally Struthers? You know, the ones where she wanted you to help feed starving children by donating the cost of a cup of coffee each day (don’t worry, it was only 65 cents back then)? Sally was shown walking through an African village, surrounded by dozens of malnourished children, many of whom were covered in flies, but too damn weak to care. These commercials were known for their tragic imagery and the funereal delivery of Sally’s message. Without the 24-hour news cycle of our current information age, many Americans simply hadn’t seen such visual evidence of third-world poverty, at least not to this degree. The result? Hell, I don’t know – that was more than 30 years ago! But, I do know that Sally kept doing those commercials for years, so it must have been working, right? That’s the power of shock value! Fast forward to today. What’s different? Nothing really. Shock still sells. In fact, in our current world of instant gratification and short attention spans (you’re still reading this, right? ), shock is probably even more important than ever. That’s what made OCR, as a fundraising tool, so effective 5 years ago. Since so many people had never heard of this burgeoning sport, they were genuinely shocked to hear that someone would voluntarily subject themselves to such physical exertion. In moments like that, the mind searches for the “why”, and desperately tries to rationalize the information being received. The “aha” moment happens when they hear that it’s all to support a worthy cause. It suddenly makes sense to them, and they want to help. But of course, what was shocking yesterday is old news today. OCR is just about to that point; time is running out. Soon, using OCR as a fundraising tool will be no different than running a 5k. That’s not meant to sound disparaging towards anyone who solicits money for a non-profit by doing a local fun run. But, when was the last time you felt any shock or amazement when a co-worker or family member announced that they were strapping on their Asics for a 5k through the dog park to raise money for the local humane society? You’ll probably still make a contribution to such an effort, but you might be apt to donate more if the situation was a little more unique. So, here’s my challenge to each of you reading this (again, you’re still reading this, right? ): Choose just one of the events on your race calendar this year and seize what’s left of this opportunity. Choose a charity, either local or national, and go rattle some pockets on their behalf. OCR has enriched all of our lives in many ways, so while we can, let’s use it to enrich the lives of others!